Top View. 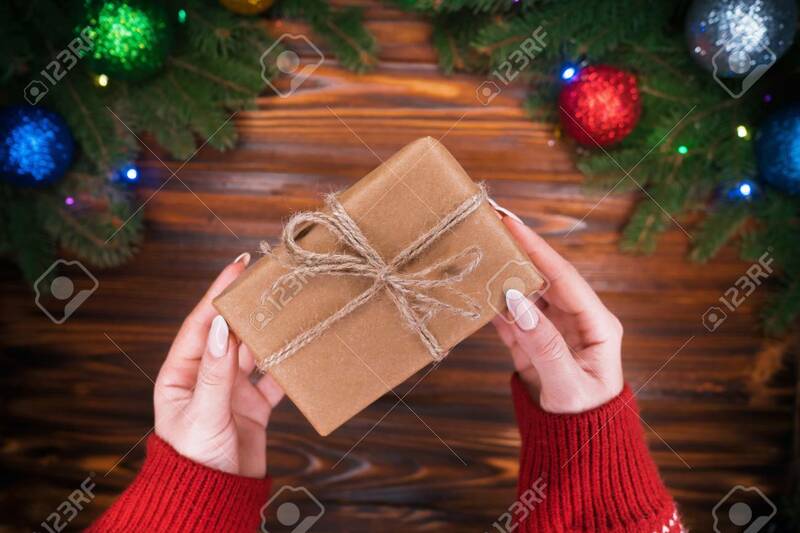 Womans Hands With Gift Wrapped In Craftool Paper. Wooden Vintage Table. Beautiful Holidays Background With Green Spruce Branches Decorated Christmas Balls Foto Royalty Free, Gravuras, Imagens E Banco De Fotografias. Image 113085723.